Looking for parts for your Club Car DS or Club Car Precedent golf cart? 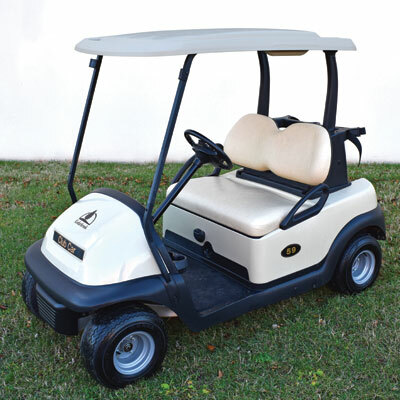 Just Golf Carts carries a huge selection of OEM and quality aftermarket parts for Club Car DS Old Style (Pre-2000), Club Car DS New Style (2000+) and Club Car Precedent (2004+) golf carts. Browse our category menus at left where you'll find Club Car categories for most replacement parts or select from the list below. Not sure what kind of Club Car golf cart you have? Call us at 1-877-902-2787 (M-F) or email dan@justgolfcarts.com and we'll help you pick the right parts for your Club Car golf cart. Club Car FE290 Engine Parts – Coming Soon! Club Car FE350 Engine Parts – Coming Soon! Don't see the Club Car golf cart part you're looking for? Call us at 1-877-902-2787 (M-F), use our Contact Us form or email dan@justgolfcarts.com.